Charge final value fees based on a % or flat fee which is charged to the seller in the form of an invoice or debit from the online account after successfully closing a sale. 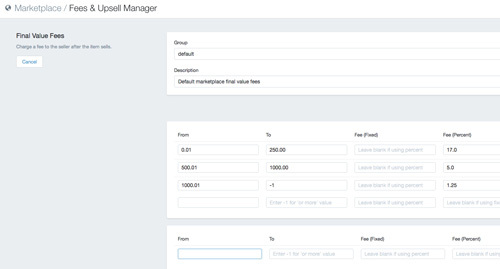 Create final value groups to define the fee structure, so one group may use a larger dollar range tier and one may use a small, depending on the category type you assign the group to. 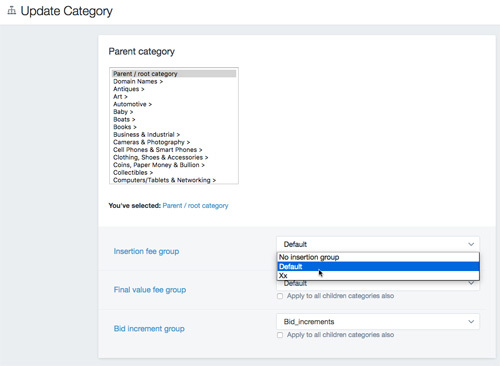 Go to category management and edit any category by using the pull down menu and within that you can assign the final value fee group to any category(s). 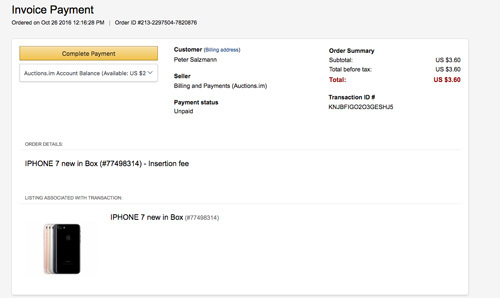 Seller will be invoiced for the final value commission after a successful sale which can be reviewed from My Account payments and transactions link.